If you noticed the warm smell of baking wafting through Fearnan last Saturday, it was a sign of the preparations for the 2013 Pudding Night. 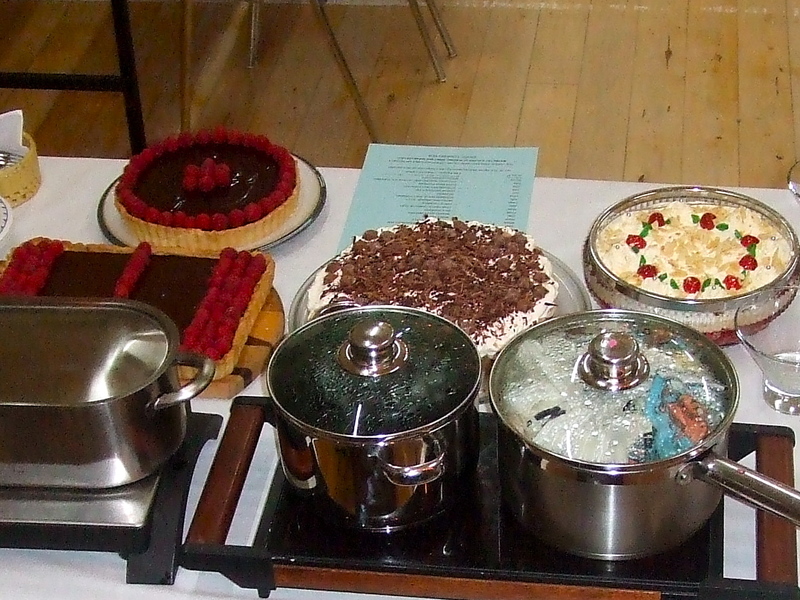 A record number of 27 puddings were being prepared, baked and decorated before being delivered the village hall. Syrup Sponge, Jam Roly Poly, Cranachan Trifle, Banoffee Pie, Rice Pudding, Cheesecake, and many, many more. All the old favourites were there, and a few new ones besides. 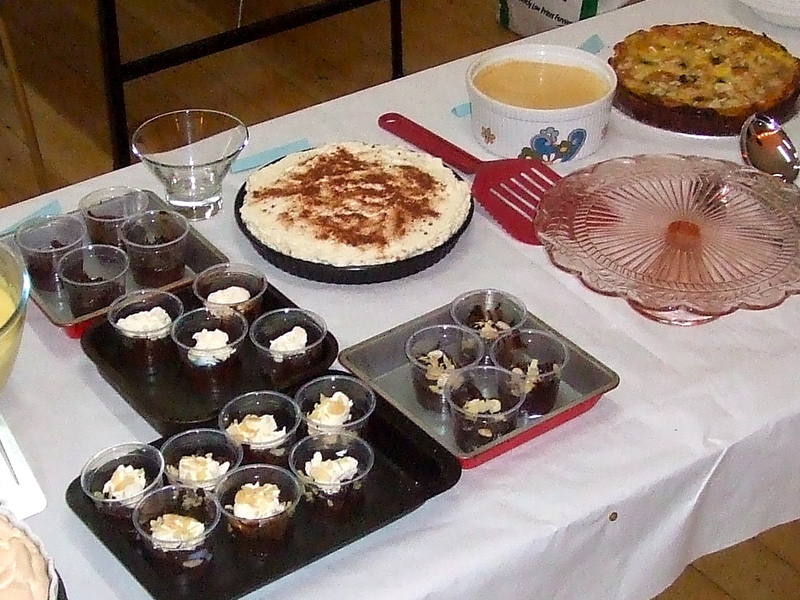 And the number of puddings wasn’t the only record for the night – over 50 people came this year. Sue set the proceedings in motion with an Address to the Cloutie Dumpling – the true chieftain o’ the puddin’ race – and we were off! Katie and Andrew provided the live music, and we also enjoyed short pieces on the piano from both Bea and Jay. I’m sure we’ll be hearing a lot more from these youngsters in the future. And 2 hours later, the puddings were all gone and it was over for another year. Roll on 2014!